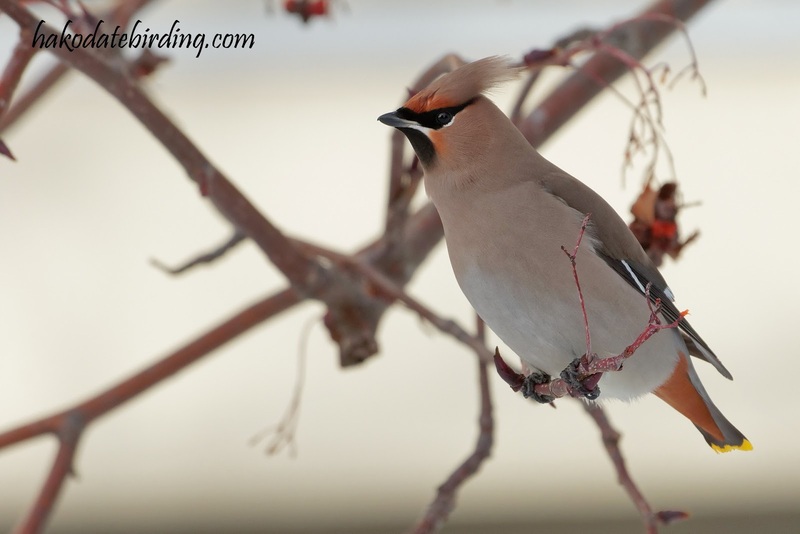 Nice light and undisturbed too (well it was undisturbed until a passing garbage truck scared them all off). 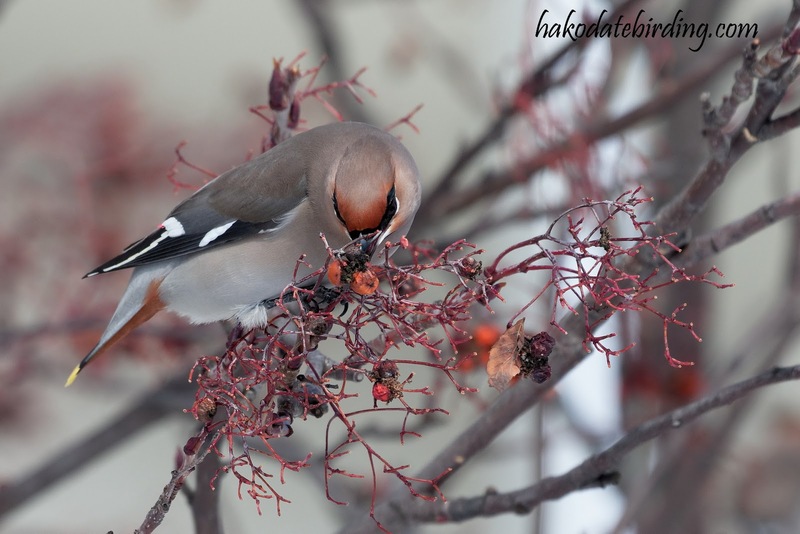 Mainly Bohemian but there were several Japanese too. Not much else around: a Long-tailed Rosefinch as well as flocks of Dusky Thrush and Brambling. 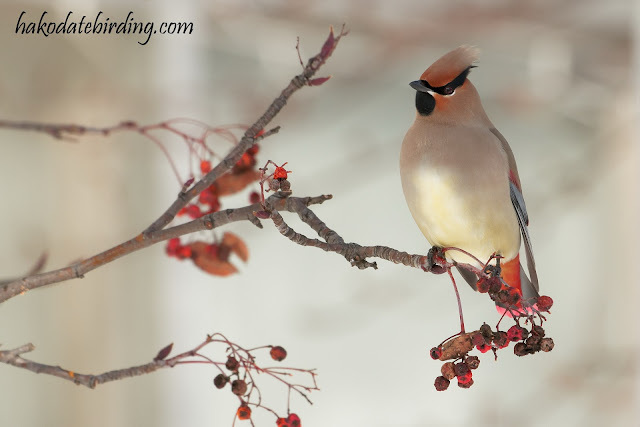 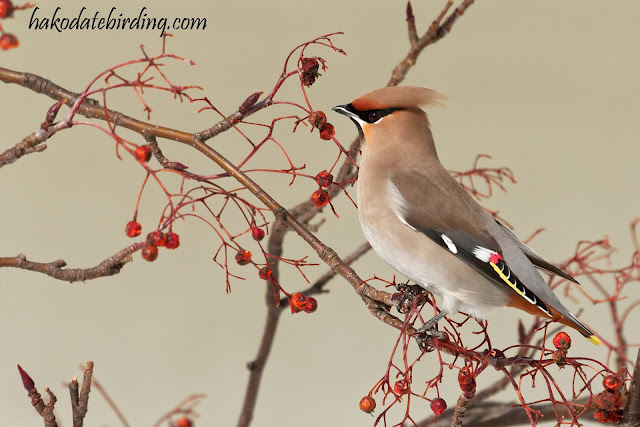 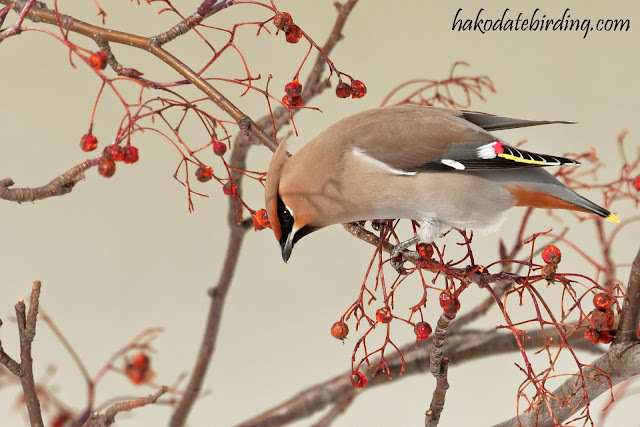 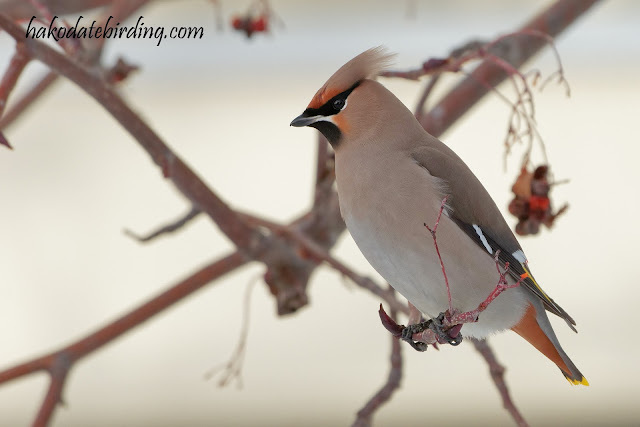 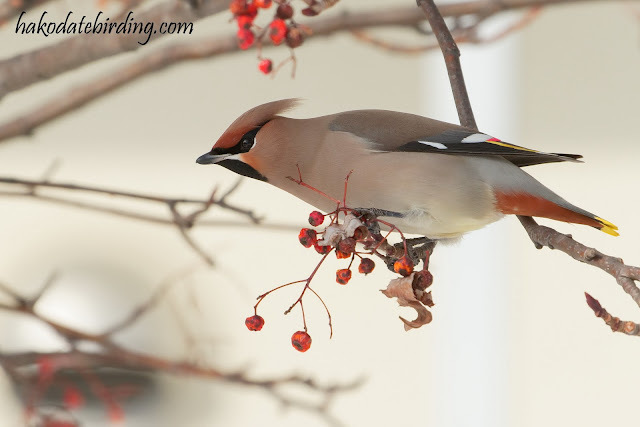 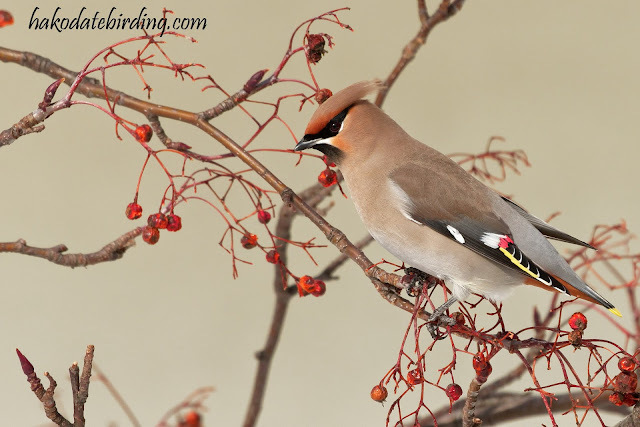 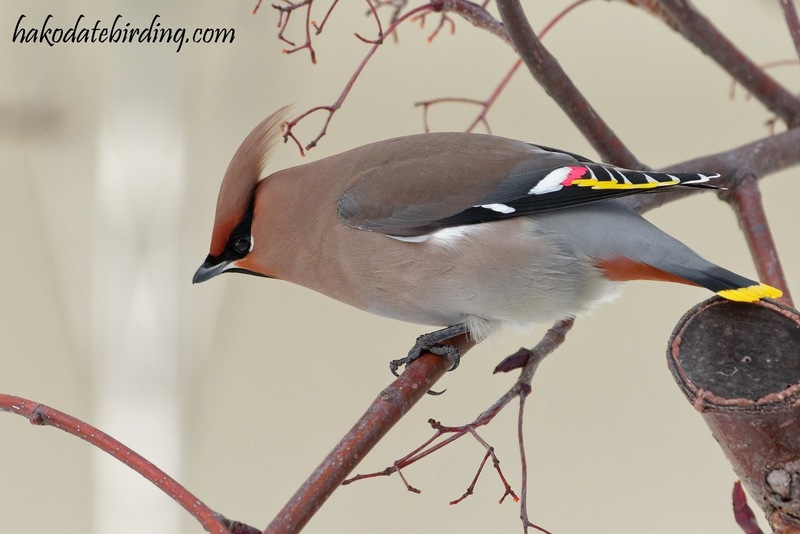 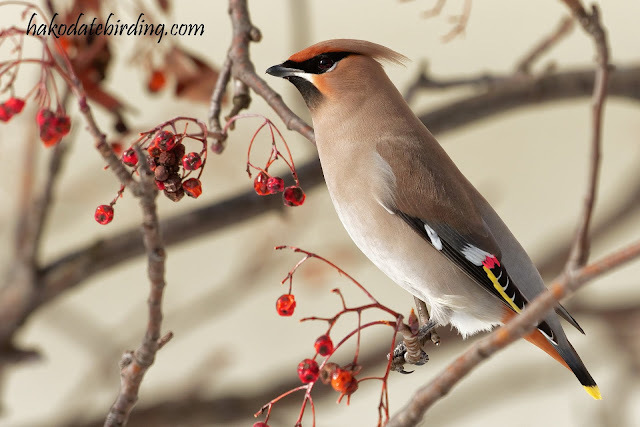 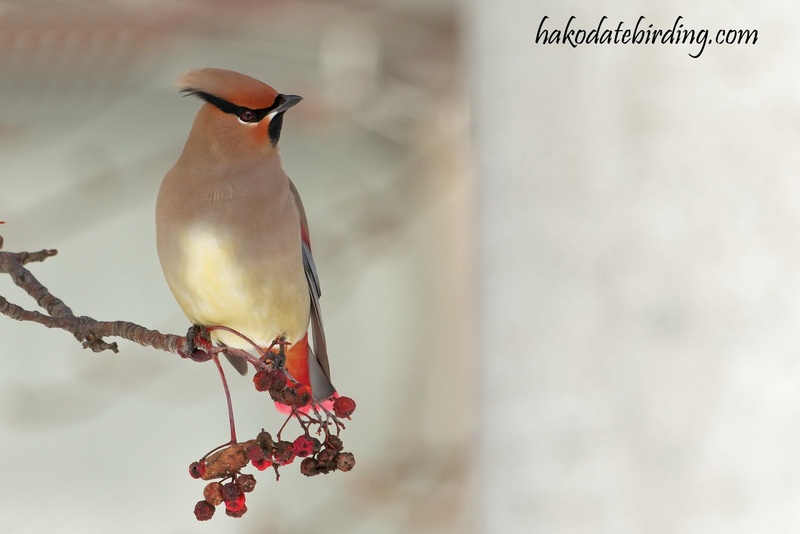 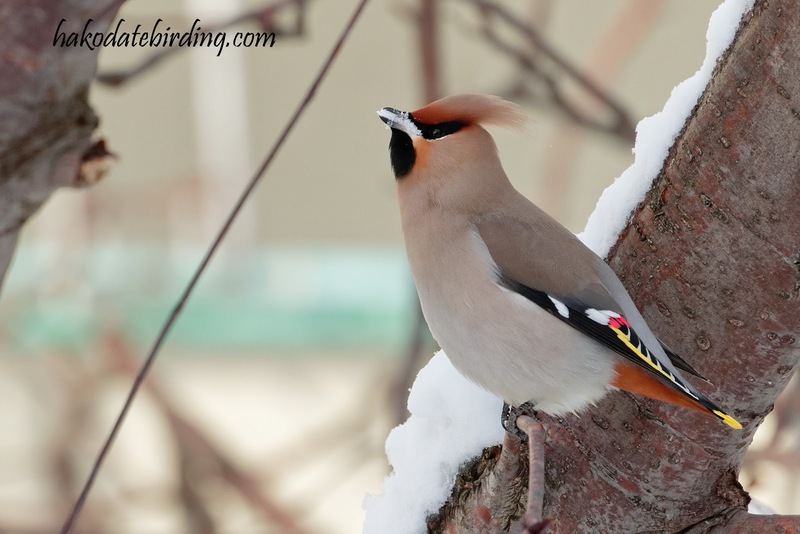 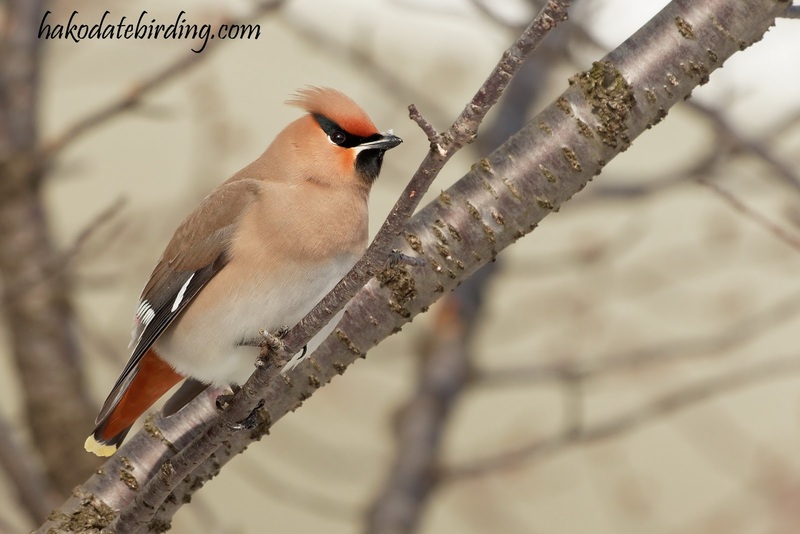 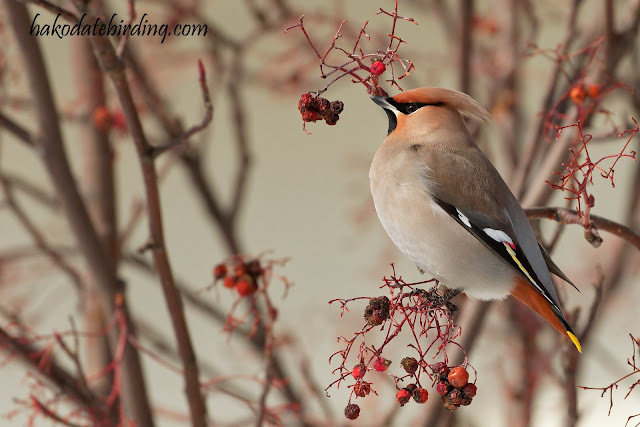 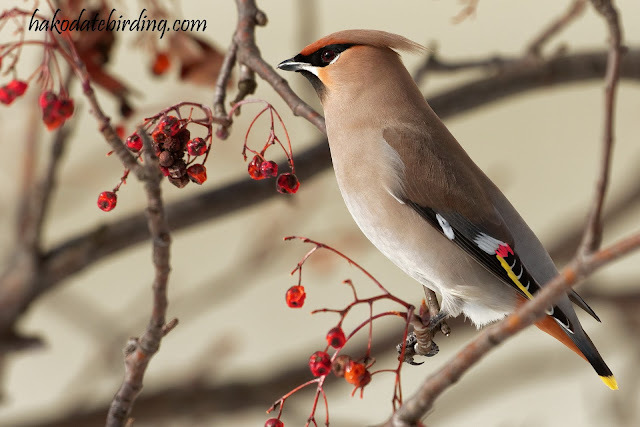 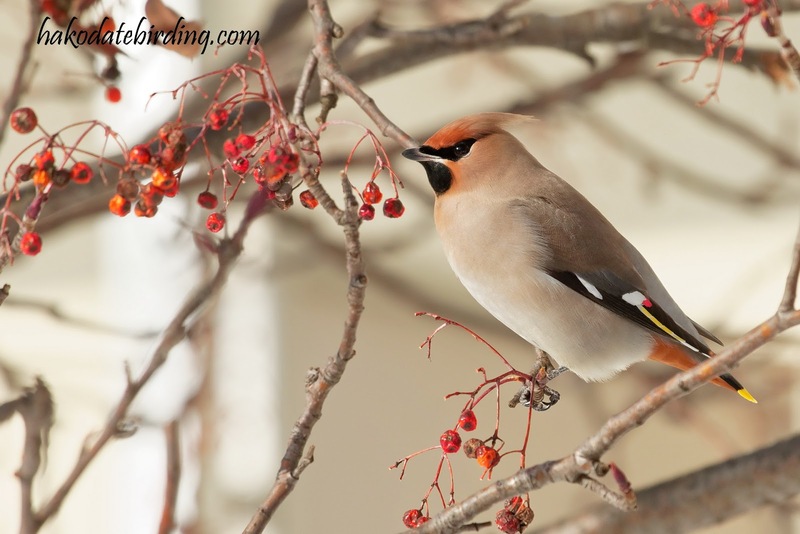 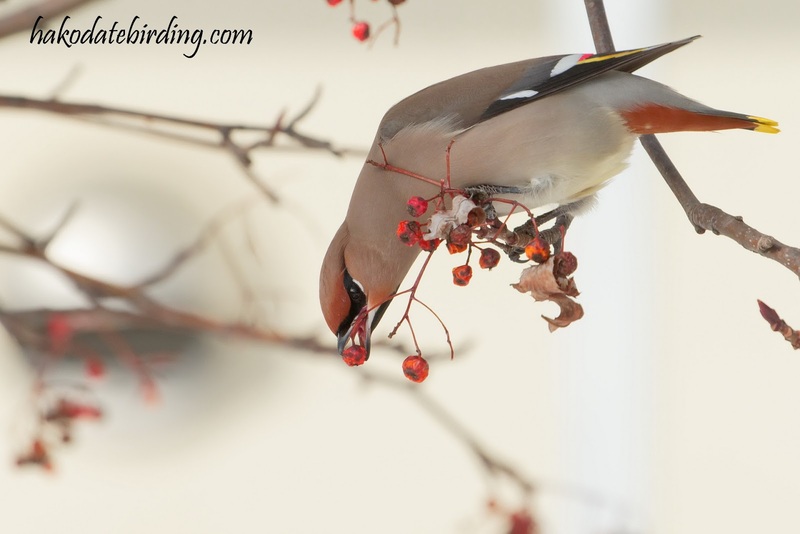 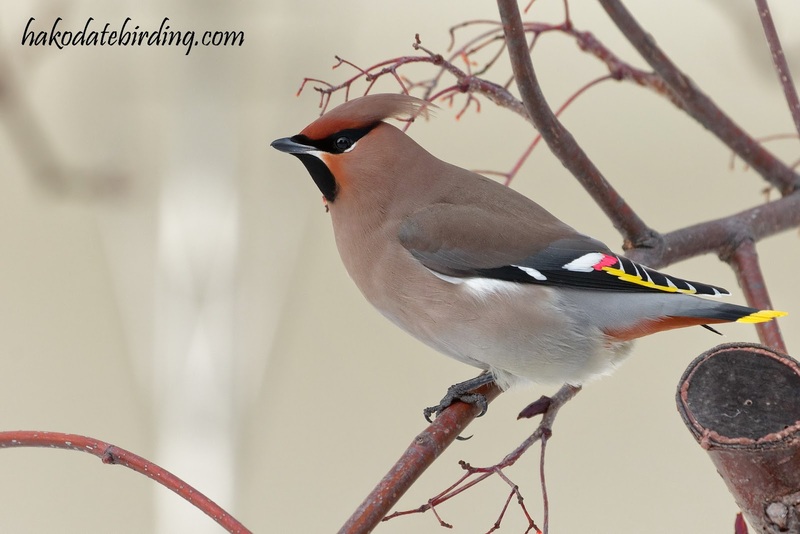 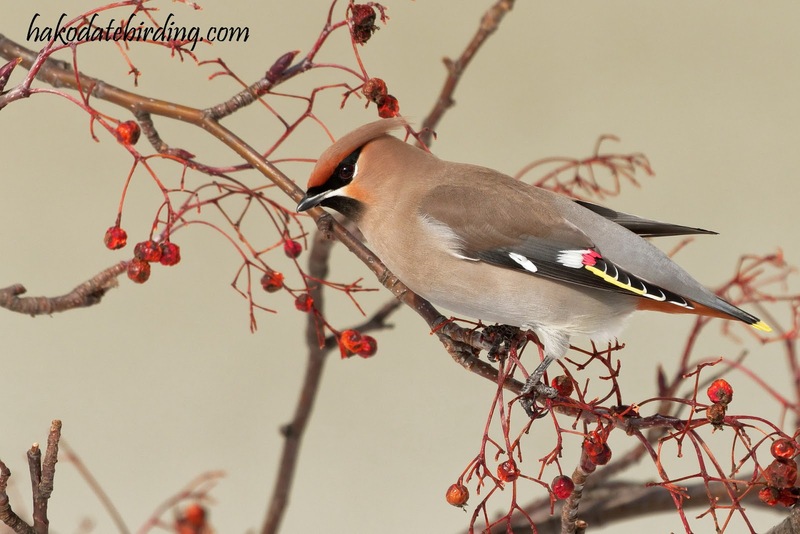 Your Waxwing photo essays just get better and better ! 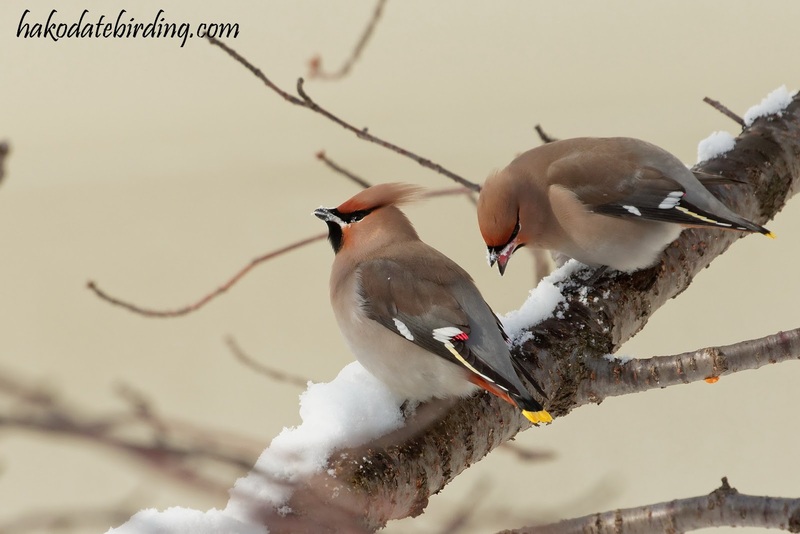 What a winter for them you've had.